​0.8.28 is now available as another build from the longer 0.8 path. Most notably DWARF support is now available on Windows. This update contains a number of smaller fixed, a new workspace system and augmentation of the configuration system. The workspace system is a work in progress and may have unintended side effects when used in an active debugging session and I would'nt advise to rely too much on it yet. 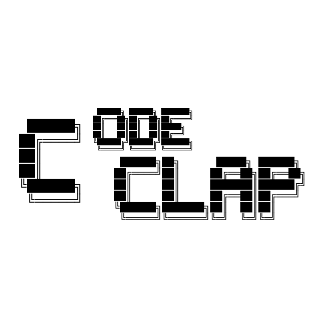 Since the next update hasn't quite arrive yet here is a quick rundown on what's happening in c[ode]clap land. I've started to maintain a public list to track issues and upcoming features. After considering github for a while I have come to the conclusion that it doesn't have that much advantage to offer, the only one basically that everyone could simply use their existing github account to post new issues and comment. 0.8.17 has finally arrived as an intermediate build on the way to 0.9. One of the new features you probably can't miss is a new panel system which allows to freely change around the layout within the window. I would have liked to give this new system more testing but it is about time to finally push a new build and since I haven't encountered any issues with this for a bit and it hopefully just works. 0.8.3 contains a redesigned overlay mode that is more useful (by providing floating panels instead of a binary blocking and non-blocking mode) and additional startup parameters to utilize this overlay mode. There will still be a few minor fixes in the next updates but no major changes and the mode is now roughly working as intended, as always now compatible with all supported platforms. As promised this is a small build without the finished overlay changes for 0.8.0 which will require a few additional weeks. "Jump to any" is now more organized and the autocomplete overlay should be more useful by not showing a lot of results without any context. Using "tab" to focus the overlay with the default keybindings is still a bit unintuitive but I will require a bit hands-on time to see if this is a good compromise to not interrupt expression input. ​0.6.4 is an intermediate step to 0.7.0. Normally I likely wouldn't package this up separately but there are 2 fixes in this for issues that have been communicated to me and prevent functional usage of codeclap in these cases. There are already a few usability improvements, the UI is more configurable and should now also display correctly in most HiDPI setups. 0.6.0 has arrived and brings improvements to all platforms. On Linux currently your mileage may vary because of ptrace limitations but so far I haven't encountered any problems. Across the board on all platforms the stepping behavior should feel more snappy because of less synchronizations between the debuggee and executing debugger expressions. This also removes all potential stalling issues from these locations. Command line usage has been extended to be more useful in general as well as enabling the "break at" functionality to also understand file:line syntax. 0.5.8 is available for Linux which fixes a few important problems. codeclap wasn't able to handle executable memory regions that would not start at the beginning of the file, this would render the debugger unable to locate debugging information on certain Linux distributions. Last one of the three. 0.5.10 fixes the last remaining major issues. This one also improves the handling of individual threads on macOS by using the appropriate Mach interface. I will take a little more time for 0.6.0 in order to give it the necessary testing on all platforms. Daily releases are not only a bit taxing but also spammy for too little improvement. On we go. 0.5.9 contains the necessary fix for Windows to not blow up the debugger in regular intervals. The macOS fix is also coming along however there is still a little bit of work to do (probably a matter of days) until everything is in order; the Mach API is powerful but can be a bit inconvenient at times. I've done a few quick additional manual tests on the HMH codebase and haven't found any disastrous failures. It is no 0.5.0, but something better ;). In addition to the established Linux build there are now also working builds for macOS and Windows. The macOS build is correctly signed to be used as a debugger and should work out of the box without any self-signing chaos. The Windows build is the most recent and had a few teething problems but should work ok now. But it definitely received the least amount of testing. Some time ago I've decided to not rush this build and delay 0.5.0 for a bit. 0.5.0 is basically ready but I don't want to publish something right before leaving for a vacation. Therefore it will be about 2-3 weeks before I will publish this one. This build brings a few changes to how I distribute codeclap which I will quickly outline here. 0.5.0 will be the first release that you can buy for a one-time price; no strings attached. Porting codeclap has gone well and to date all features are functional on Windows and MacOS in addition to Linux. This is likely to be the last pre-alpha release and I will strive to make the next release "alpha" sometime at the start of Q3/2018. The next release should be available on all platforms. Due to inconsistent behavior across distributions newly created threads are not continued automatically after creation. This should be fixed in the next build (should be in 00.04.03-2). The long road to "Alpha"
Both new builds, for Windows and macOS, are making slow and steady progress. I've decided to go the unreasonable way of pursuing both platform ports at the same time and so far I don't have any regrets doing so (the basic reasoning behind this is to challenge the design of the platform independent parts to actually match with all the different platform specific parts). This whole process will take a bit of time and I am aiming to have all platforms on par until the end of April which should be a realistic goal. Here is a late January build. There are a few QOL changes but overall there have been lots of architectural changes and I fear there are a few more regressions left than I would've liked. But at the same time this is an important step and marks the beginning of cross-platform compatibility for Windows and macOS. I will probably try to get a working macOS build first because it should require less actually new functionality and is a platform more similar to Linux. I've wrapped up 00.03.02. This version contains some internal changes for the persistence of expressions, breakpoints etc. across restarts. There may be some edge cases left which I've missed in this new logic but I will stumble across those sooner or later. Unfortunately I don't yet have any alternatives to Patreon but I will provide other means of gettings access to builds as soon as possible. I've been more busy in November/December than I originally anticipated but I will try to limit slowing down progression on codeclap. 00.03.01 changes the meaning of the ui.config to only contain individual changes across themes. To change to the new theme system you can clear all individual settings using the "Clear customizations" button. I expect the rate of new builds to tone down a bit over time, but here is 00.02.03. The next monthly 00.03.01 is right around the corner and will bring theme support and a visual assistant for UI customization on top of these themes. The new features like watchpoints and links between breakpoints are currently not persistent across restart. This will be part of a general "persistence update" for one of the subsequent builds. At some point in the near future I will introduce a system to publish and track planned features, feature requests and known issues. This has some interesting potential for interaction with supporters. Every patron will be able to vote for any feature/issue once a month. Votes do not reset and will accumulate over time; whatever is on top of the list will be what I will be doing next (except when another issue is linked to that one, then I will likely do the required one first). This is a quick one, meaning it lacks a bit of testing and I also had to push one missing feature to 00.02.03. But I probably won't be able to make a lot of changes within the next 5-6 days so this build may be a bit hit or miss. Before 00.02.03 I will also write a little about planned future supporter perks. Well a few days late but 00.02.01 is finally here. Unfortunately a larger than expected portion of the expression system was broken in one way or another but it is in a much better state now, and I believe in one that won't require any rewrites of this magnitude in the future. For the next few builds I will likely prioritize smaller features and QOL changes. This build marks the second "monthly release" and as always is available from the patreon post or so.codeclap.cc. There are still some fixes necessary for the expression system to be in a better state which should happen for 00.02.01. Get it from the patreon post or from so.codeclap.cc. I'm a bit late on announcing this but there is now a page that I will use to make builds available more frequently. You can simply log in with you patreon account and should get access to the builds of that tier. It should work but at least for me the API documentation wasn't completely clear; if you try it and it doesn't work please write a quick response here so that I can look into fixing the patreon interface.